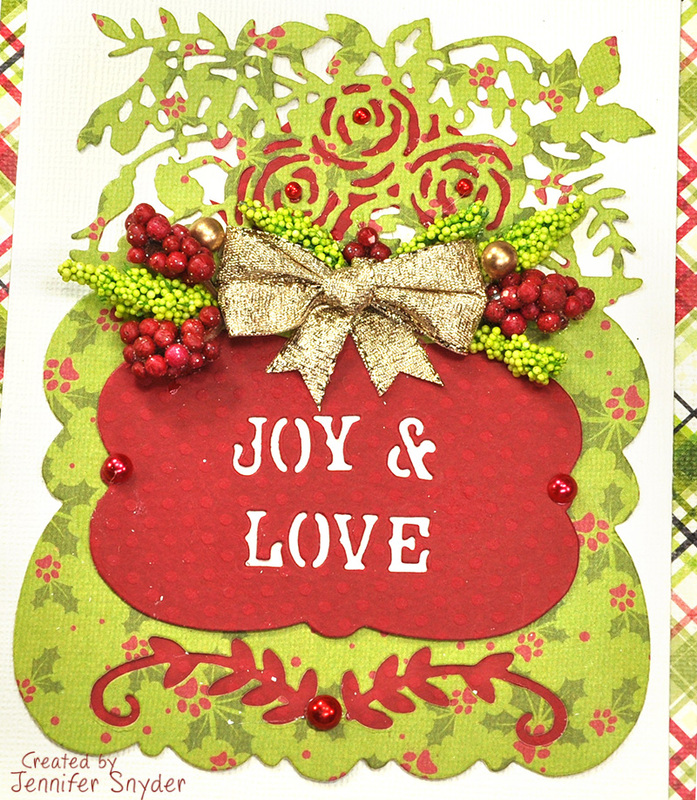 This card was crafted using Maja Design's new holiday collection. 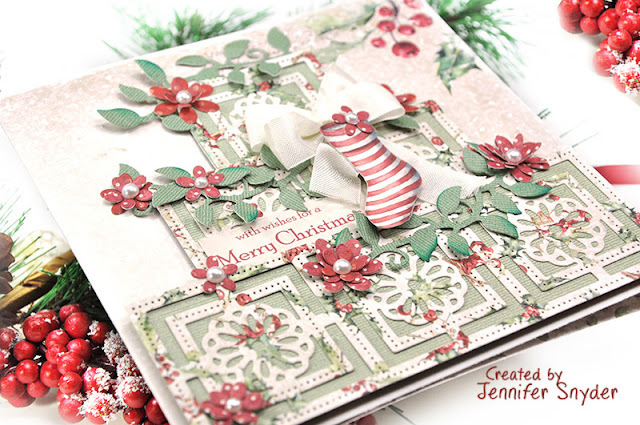 Christmas Season collection has a matching monochrome collection, Shades of Christmas. These are the papers I used from the this gorgeous and unique collection. The Maja Design Monochrome papers are always a perfect match. They are a great combination to enhance the collection. Maja Design is known for the amazing versatility of their papers. While this may be called "Christmas Season", I promise you won't be putting this paper collection away with your decorations once the holidays are over. The "B" sides of every sheet have designs that can be used through the year. That makes Maja's papers a great value. 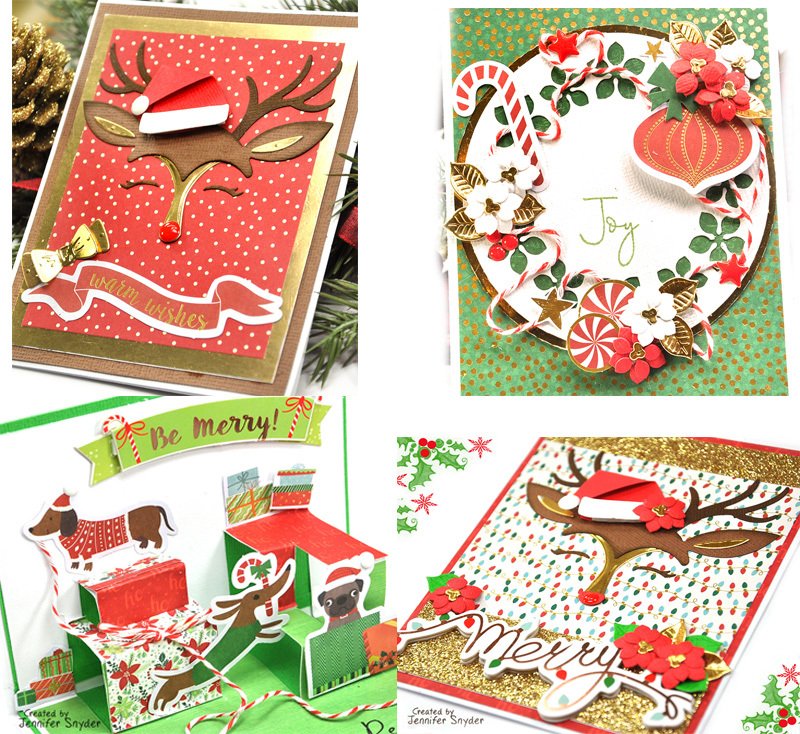 You can shop for Maja Design's Christmas Season collection here. 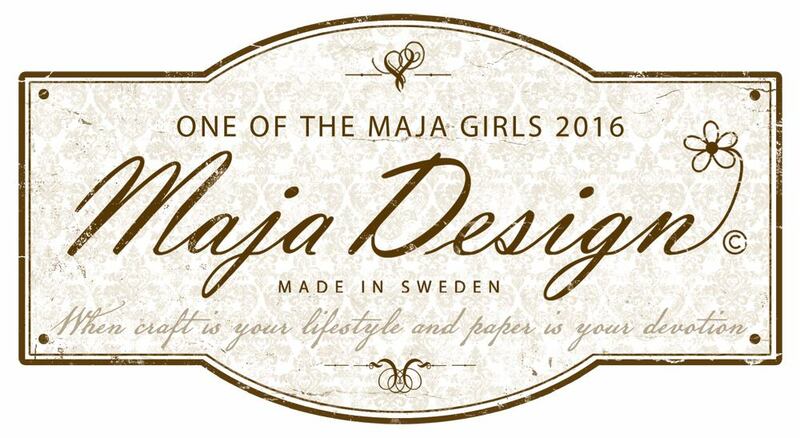 You can shop for Maja Design Papers here. 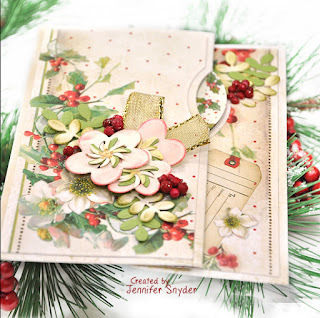 Today I am featuring the Exquisite Splendor by Marisa Job. 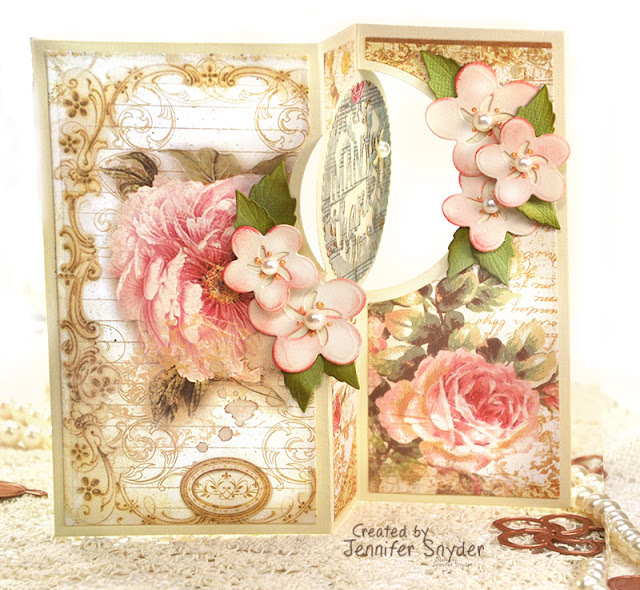 Spellbinders - Blooming Floral Wreath Die (Exquisite Splendor Collection) by Marisa Job. No blog hop is complete without a prize right? To celebrate this release, Spellbinders is giving away a $50 gift certificate to one blog reader – selected from the comments across all of the blogs in the hop. Giveaway closes on Sunday, December 23rd at 11:59 pm EDT. 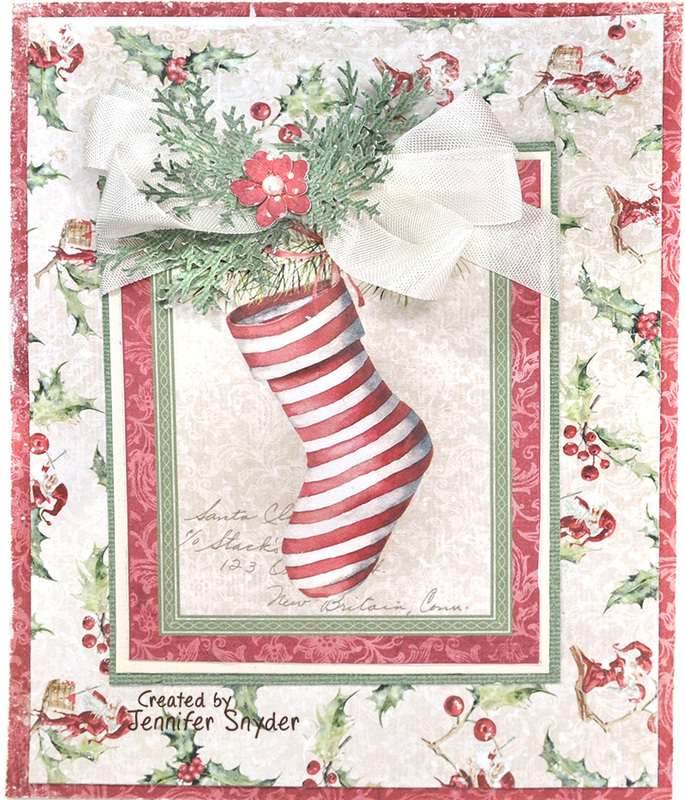 The winner will be announced in the blog hop post the following Monday. Winner is responsible for shipping cost, duties and taxes. Please add your comments to my blog to be eligible for the amazing giveaway. 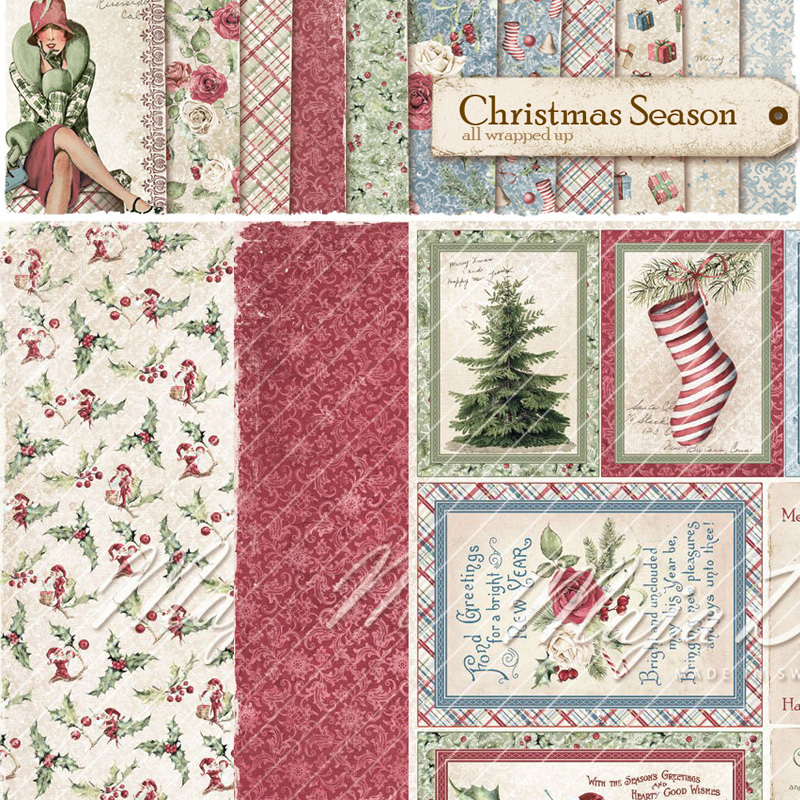 The paper collection being used today is from Stamperia - the Patchwork 12x12 collection. It's fun, quirky and carefree. You can grab that collection here. 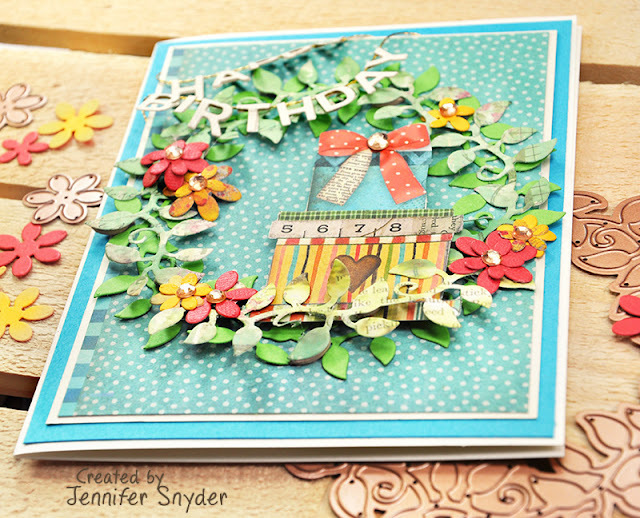 Thanks for joining the Spellbinders New release Blog Hop. Your next hop will be visiting Erum Tasneem . 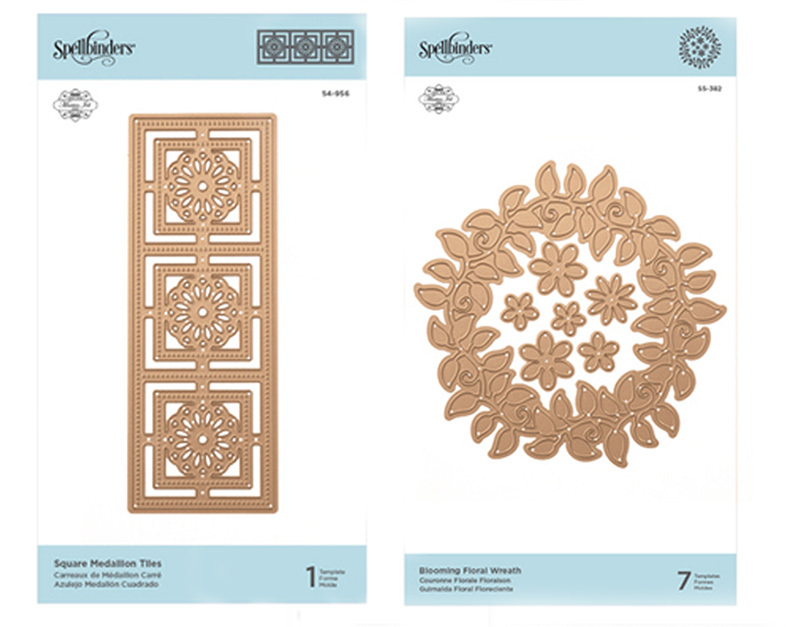 Shop here for All new Spellbinders arrivals. 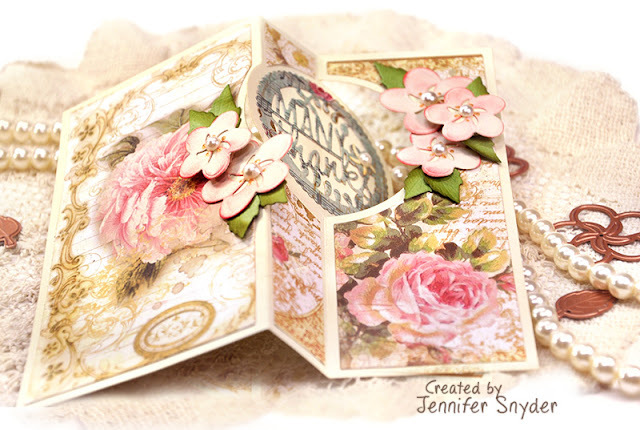 You can shop for Spellbinders dies created by Marisa Job right here. 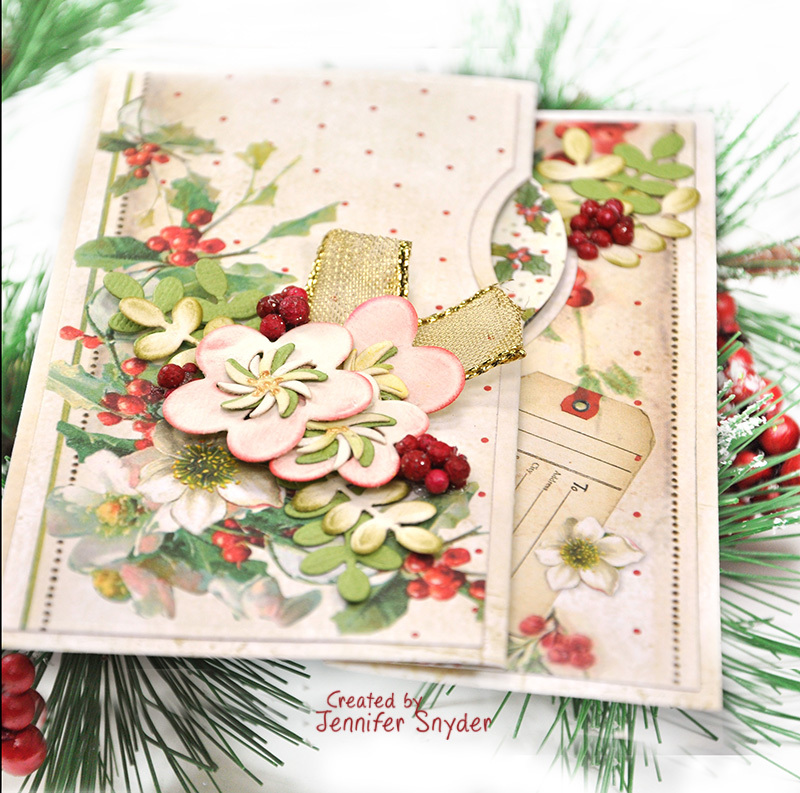 You can see the entire Exquisite Splendor die collection here. Shop here for A Great Big World by Sharyn Sowell. 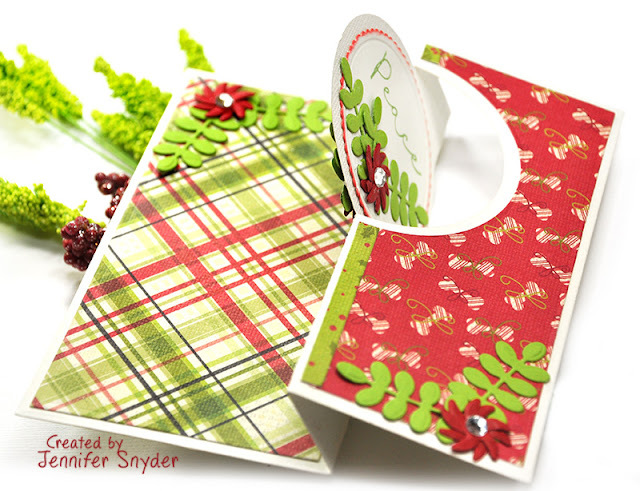 This month, I had the opportunity to create with Spellbinders Large Die of the Month Club and this month it comes with a twist....literally. 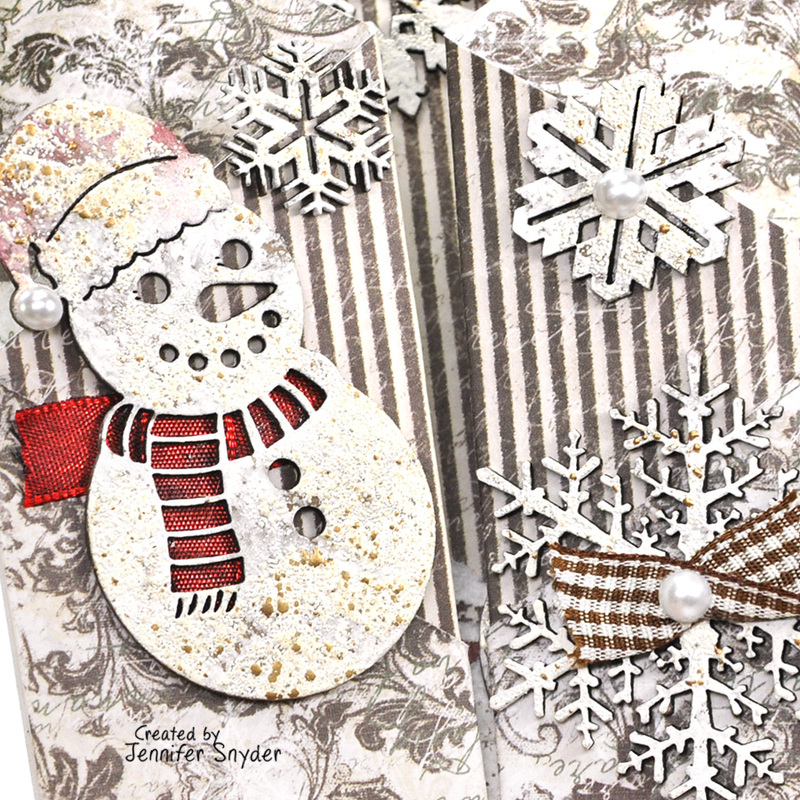 I used a few of the "extras" from November's Card kit to finish the card. The "PEACE" sentiment on the front of the card is from Deer Santa Clear Stamp Set (card kit of the month extras). Let's talk about the Pug diecut shape. 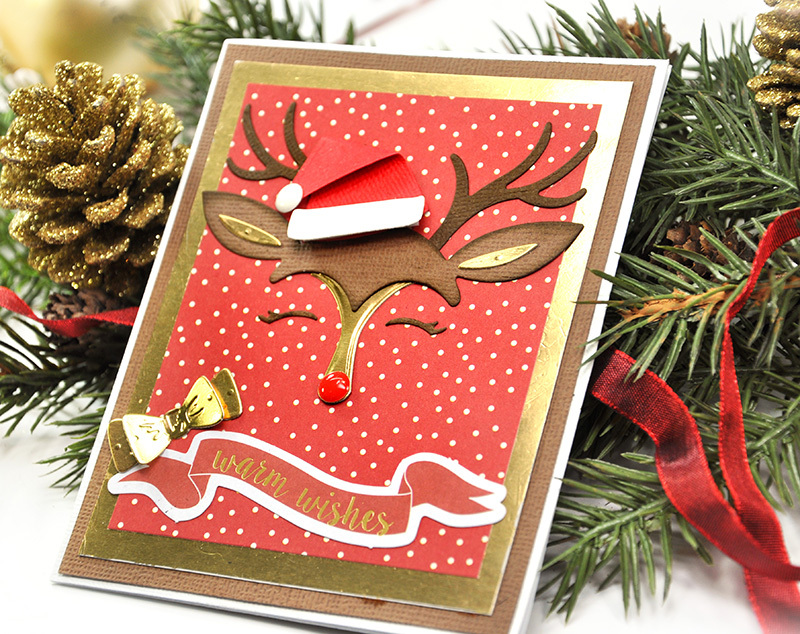 This adorable guy is from the Deer Santa die cut shapes from November ( card kit of the month extras). 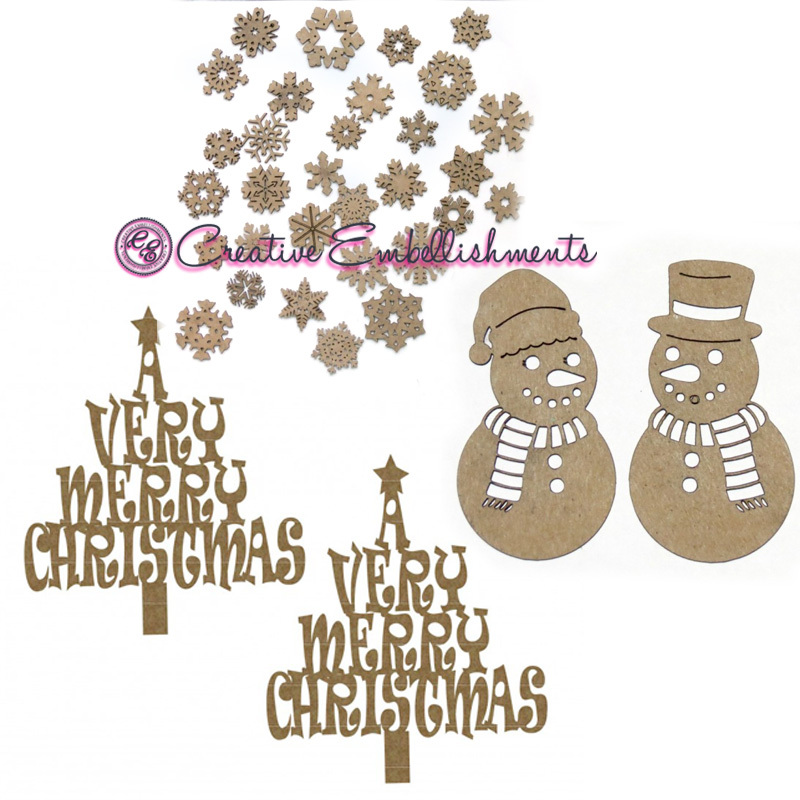 You can still grab these diecut shapes from the Spellbinders store while they are available. 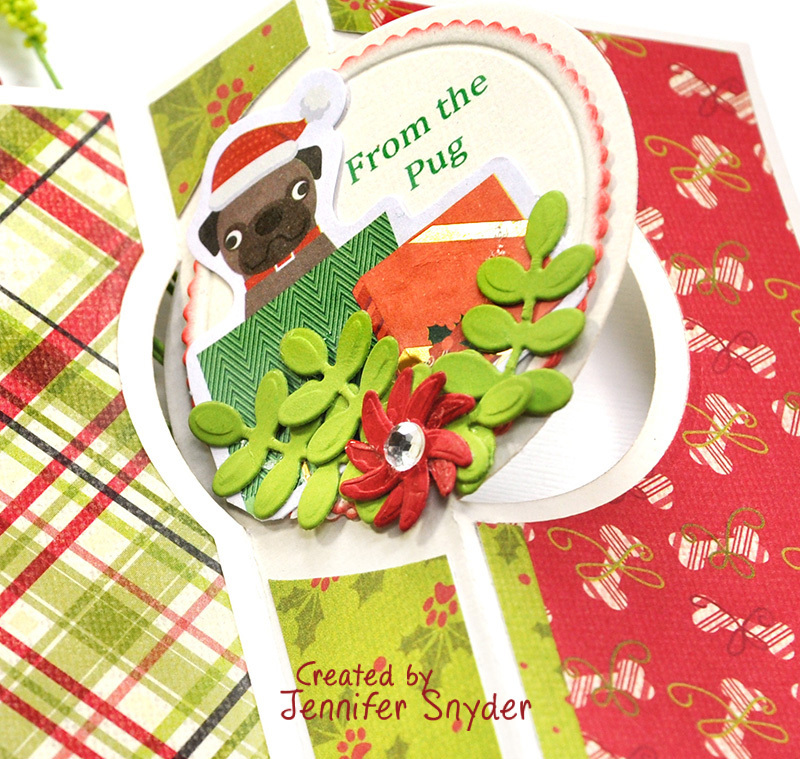 NOTE : the sentiment on the inside of the card, "from the Pug" was simply printed on cardstock before using the circle die from the set. Here is a quick video showing just how cool this twist card design is. 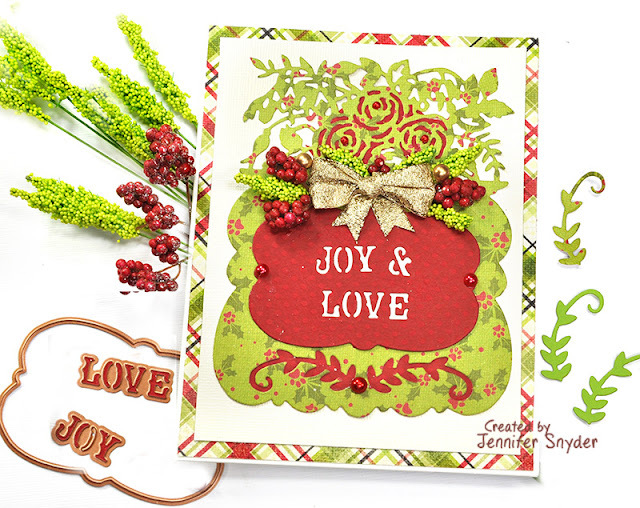 In addition to the main twist-card die, the Spellbinders Large Die of the Month Club comes with some sweet smaller dies to create greens and floral decorations on your projects. 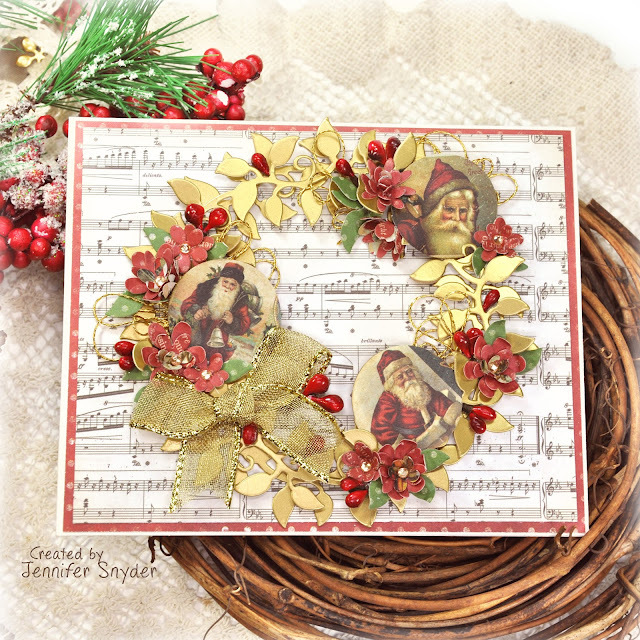 The paper used on this card is Authentique Nostalgia collection 12x12 paper pack - gorgeous classic Christmas colors and images. You can shop for the Large Die of the Month right here. 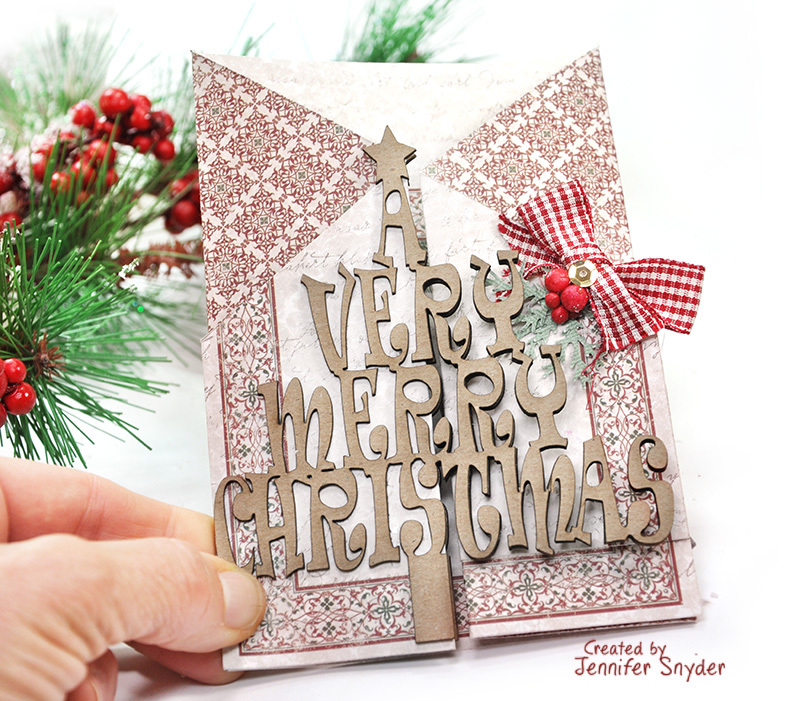 You can shop for All Clubs from Spellbinders right here. Now is your opportunity to grab the November Card Kit from Spellbinders for a VERY limited time while supplies last. 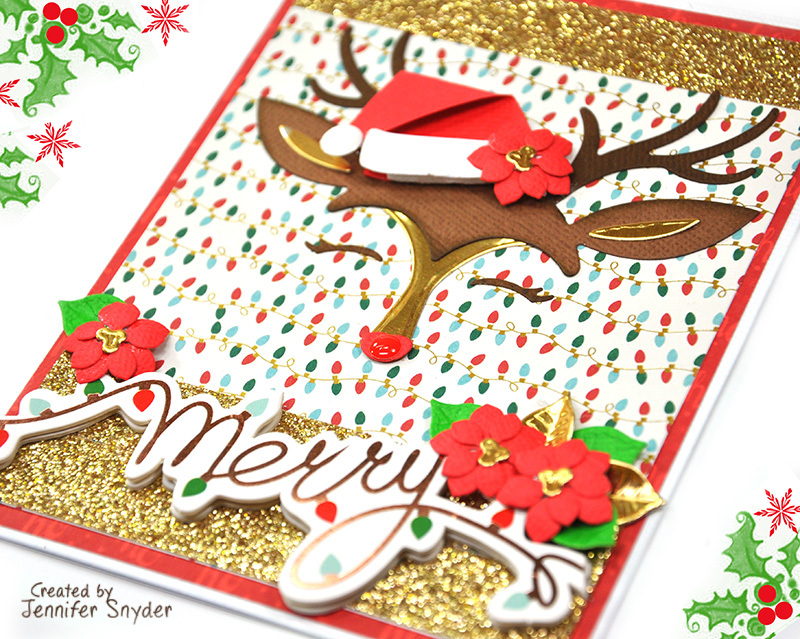 In November, Spellbinders Card Kit featured the most adorable Reindeer Die complete with sweet Santa hat. 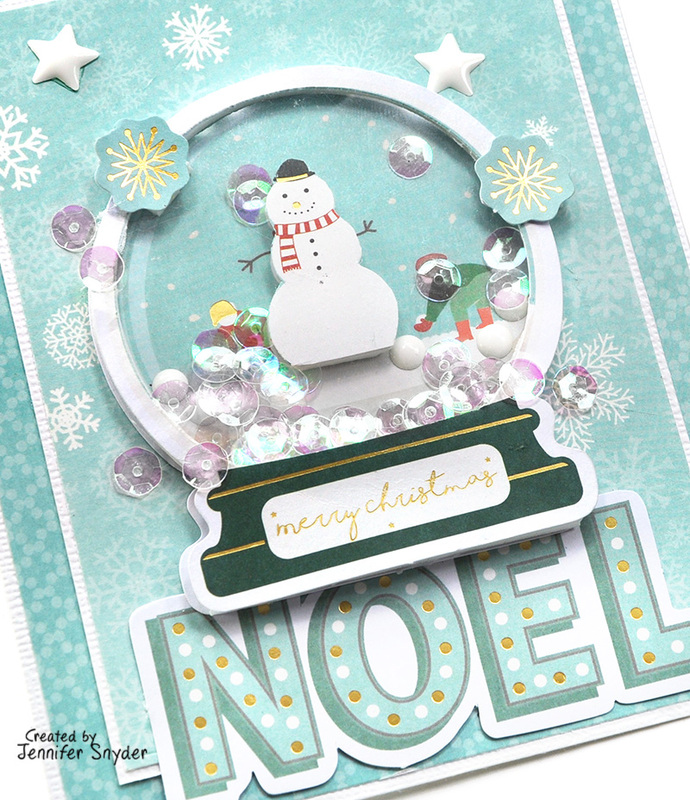 The kit also came with darling embellishments, die cuts and more. 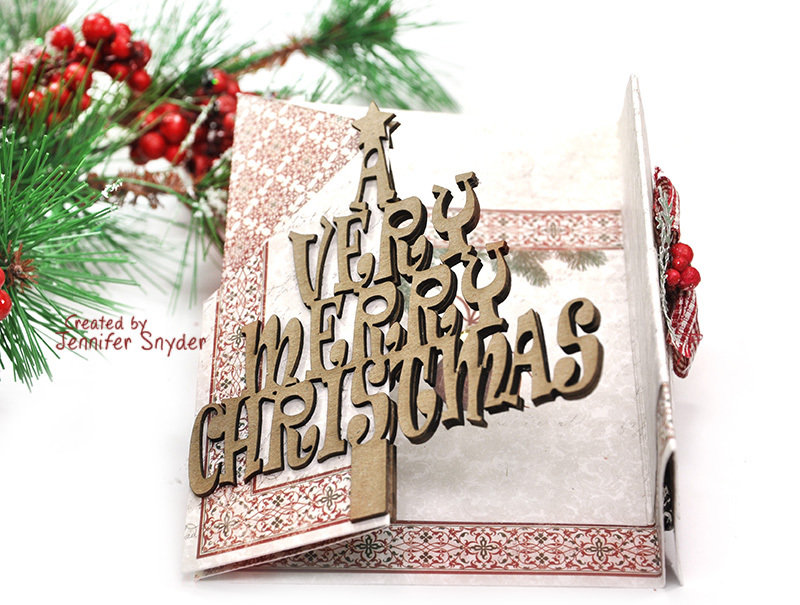 It sold out in a few days but Spellbinders was able to assemble a few more kits while supplies last. 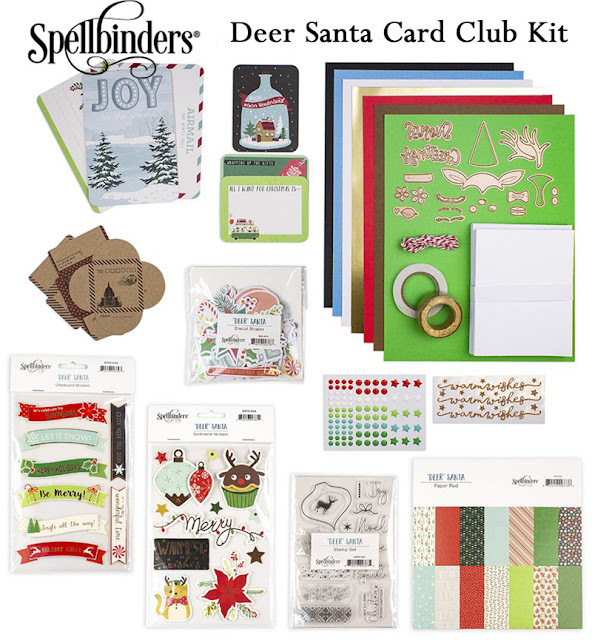 You still have time to grab the Deer Santa kit. You can see the Current Card Club right here.. 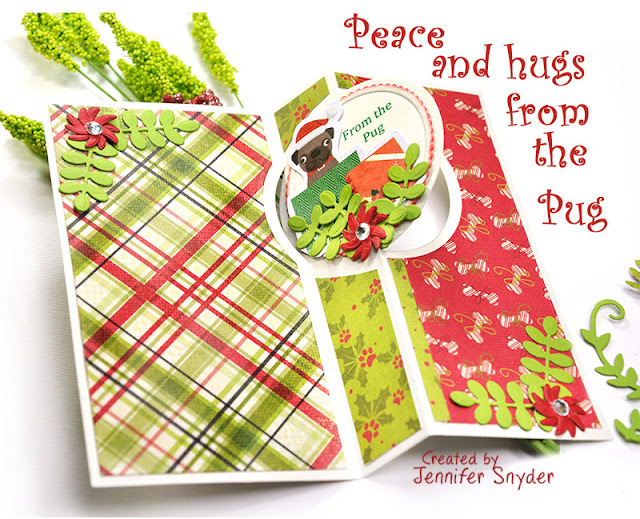 Complete with die cuts, papers and embellishments. Spellbinders really has assembled a great versatile kit. It's doesn't have just one theme so you are not stuck on one theme all month long. It's got cars, and feminine flowers, sea creatures and bold stripes. Masculine or feminine - child or adult, they have thought of it all. Below is a photo of the contents of the Spellbinders Card Club for Nov18. 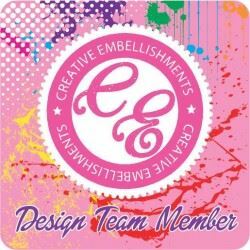 If you need/want additional supplies, Spellbinders even sells card kit extras/add-ons including the stamp set, inspirational stickers, paper pad, etc. 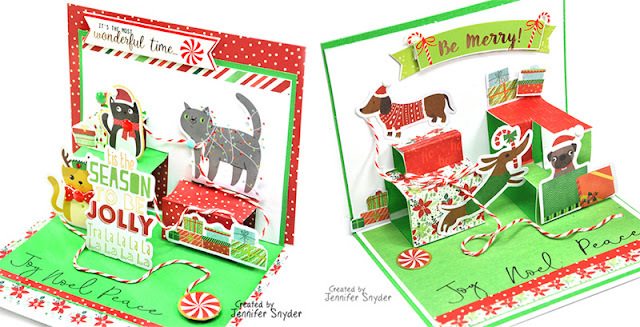 Here are some pop-up cards made with the same card kit. You can shop for previous card club kits right here . You can shop for Spellbinders card kit extras right here. It's a Great Big Wonderful World for sure. 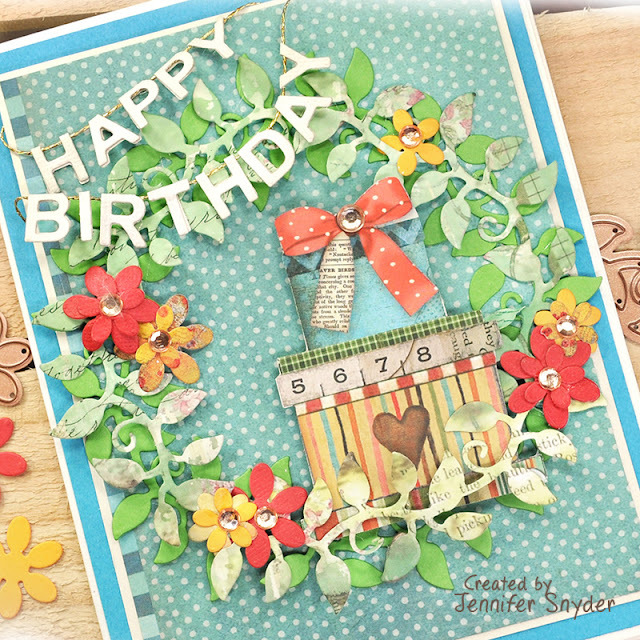 And today is made even more wonderful as Spellbinders celebrates a new collection of dies by Sharyn Sowell called Great Big Wonderful World. 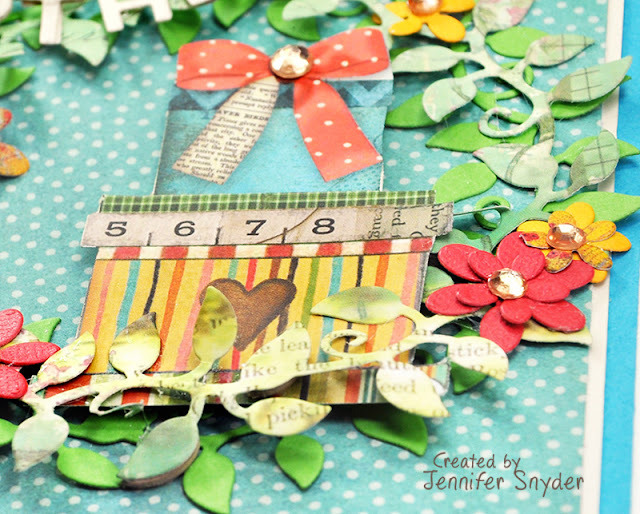 This die set was created thoughtfully to be used all through the year. 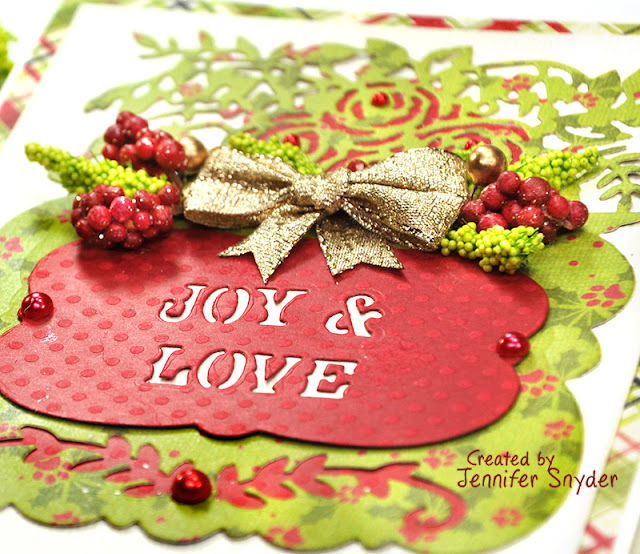 I chose to add a Christmas holiday theme to my card because the "Love and Joy" words included in the set are so appropriate for a Christmas card. Tis the season, right? 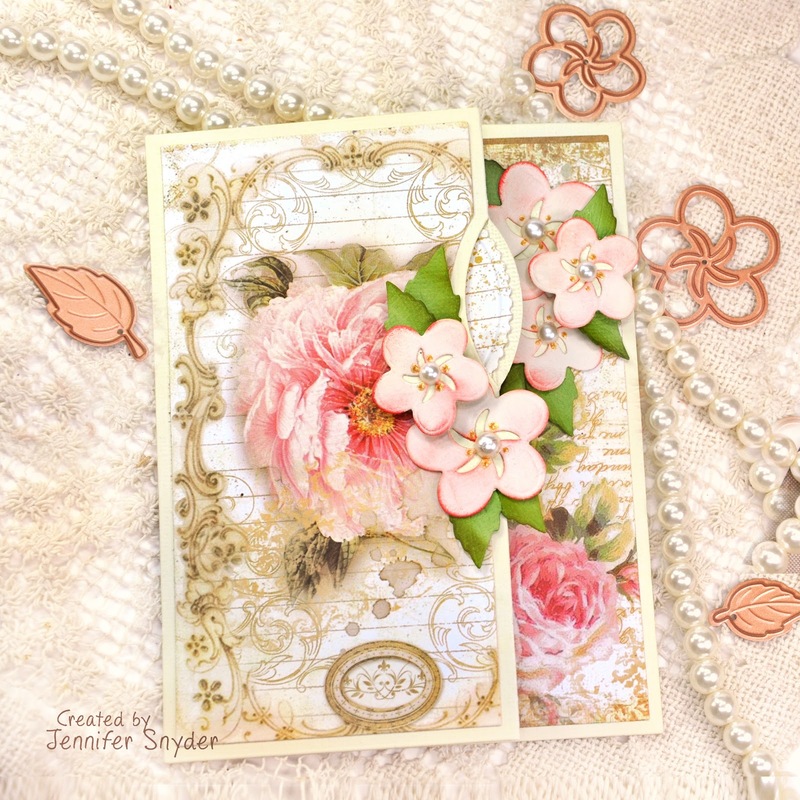 Here is an image of the beautiful die set, Spellbinders -Shapeabilites with Love -Great Big Wonderful World by Sharyn Sowell. 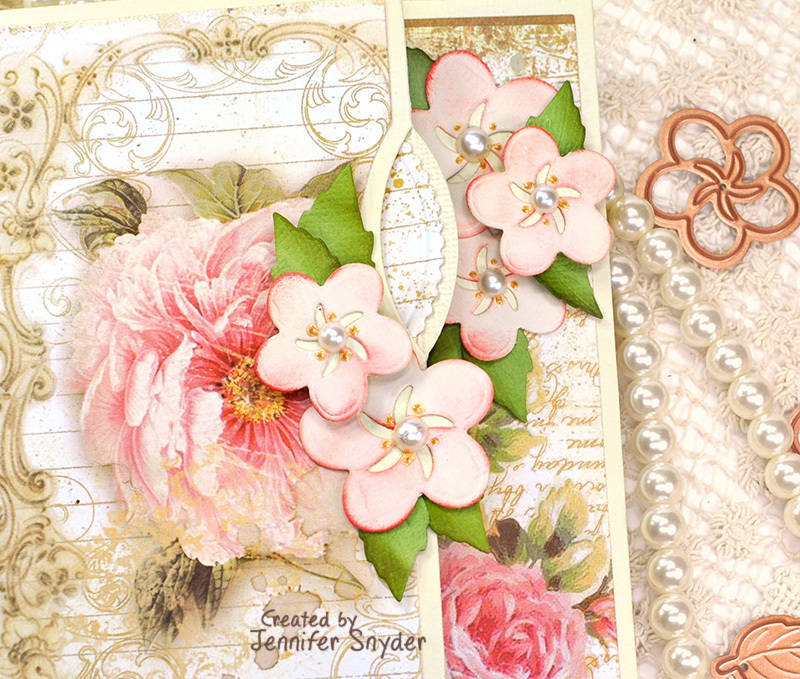 Five "sentiment" dies are included in the set providing such versatility for card making. Here are a few closer images. Make sure you check out the rest of the designs in the collection. You can see the collection, Great Big Wonderful World by Spellbinders and Sharyn Sowell right here. Thanks for stopping here. Wishing you a joyous Christmas and Holiday Season. You can find more Spellbinders dies designed by Sharyn Sowell here. 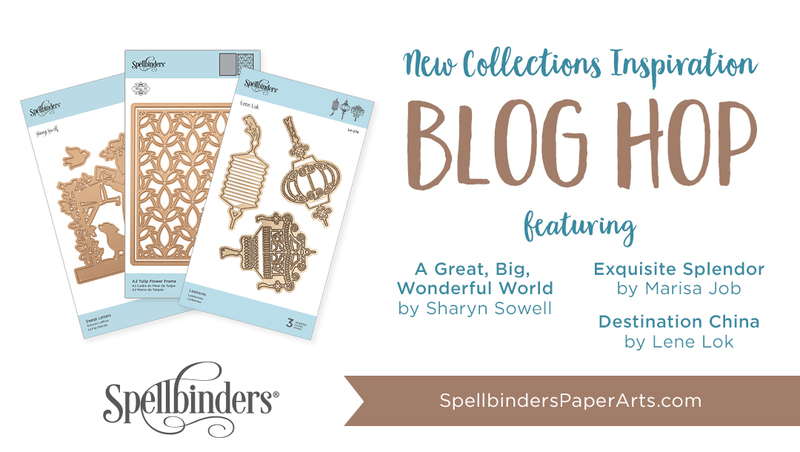 See the entire collection of Great Big Wonderful World by Spellbinders and Sharyn Sowell right here. Spellbinders new releases alway dazzle. 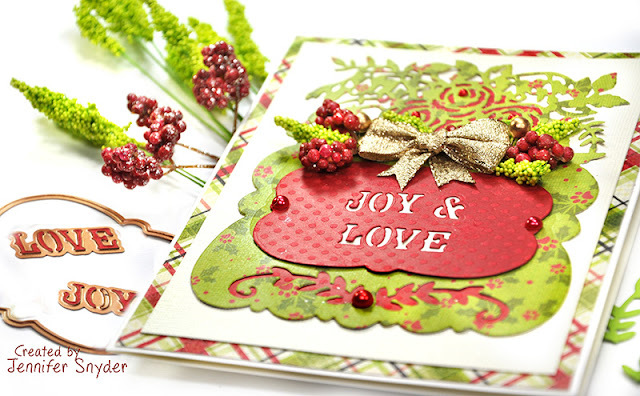 This new die set designed by Marisa Job for Spellbinders is top of the list in versatility. 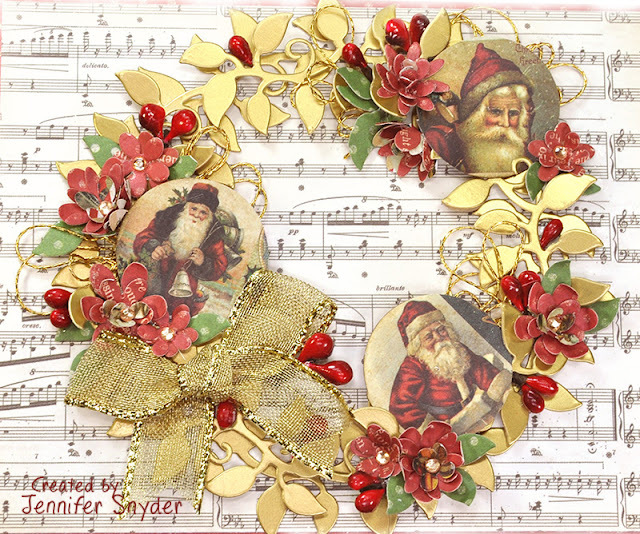 I happen to adore wreath dies because wreaths can be used all year round, any season, any occasion. 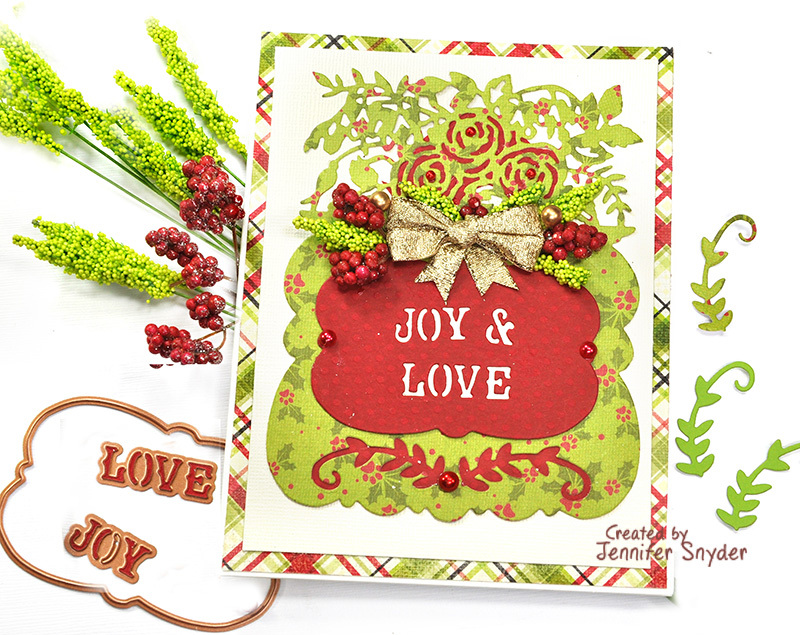 One additional twist...cut the wreath apart and now you have vines and perfect foliage for creating stunning clusters on your cards and projects. Think of the possibilities using this die - prefect for any season and any occasion. I added a bit of foam under a few of the leaves on the second wreath die for interesting dimension. 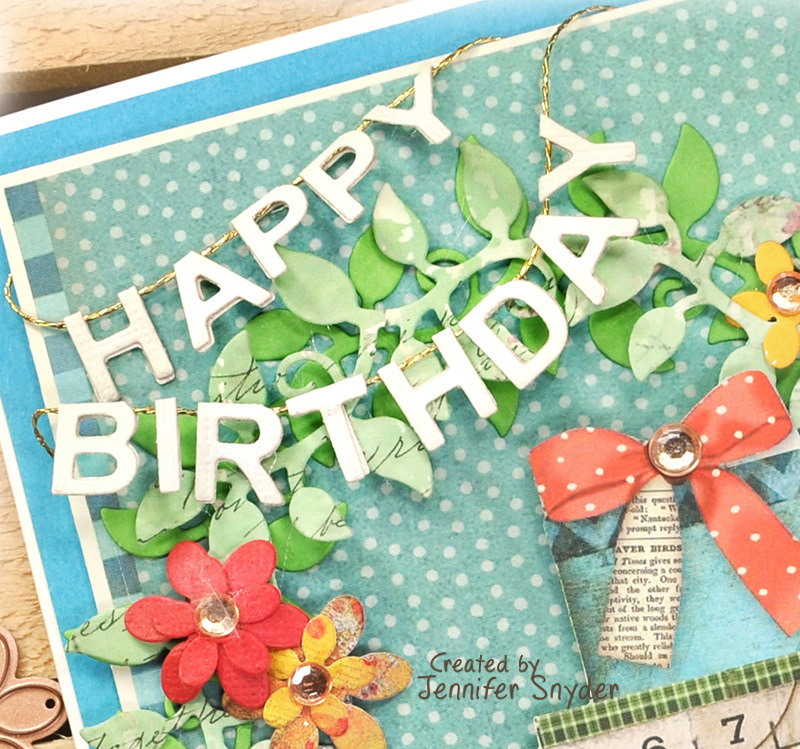 Today I am featuring two new releases by from my favorite paper crafting companies - Spellbinders and Maja Design. Square Medallion Tiles (Exquisite Splendor Collection) . 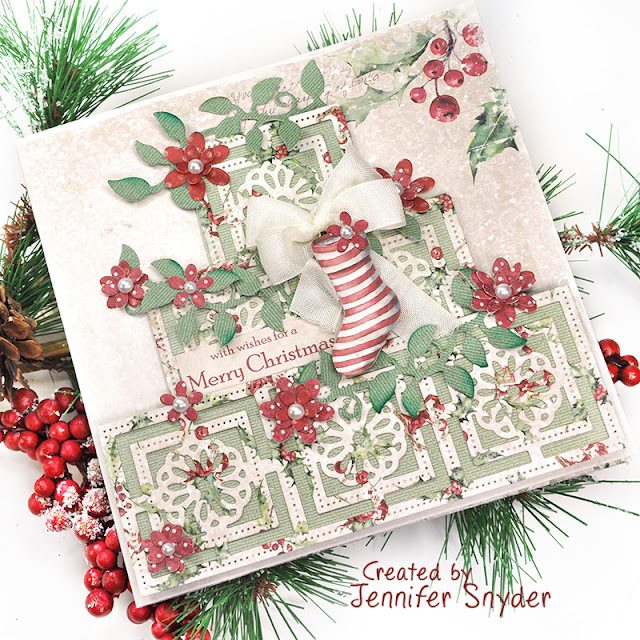 The second new release I am featuring today is Maja Design's newest, much anticipated Christmas collection called Christmas Season along with it's matching monochrome collection, Shades of Christmas. The dies are prefect to use all year round, but since I am finishing up my Christmas cards, I thought I would adapt the dies for the season and giving the card a holiday twist complete by using the beautiful new papers from Maja Design. 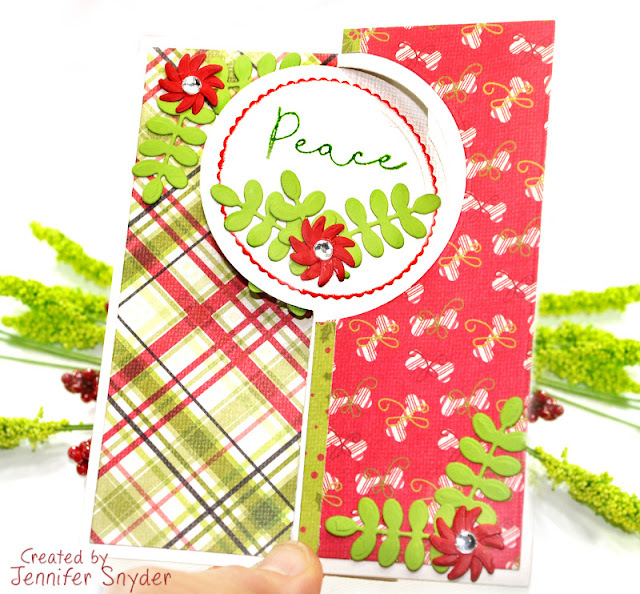 The wreath die makes wonderful greens and swags when cut into pieces as I did for this card. These are the papers I used from the this gorgeous and unique collection. You can grab the newest Maja Design collection right here. The "B" sides of every sheet have designs that can be used through the year. That makes Maja's papers a great value. The little flowers were made from the "B" side of the Holly Jolly paper. The red and white polka dot design is always a classic beauty. Thanks for stopping today. Have a wonderful Christmas Season. Who doesn't love getting cards in the mail? I sure do. It's always wonderful to get happy mail and not bills. But when the card opens to a surprise inside, wow! Joy, happiness and good thoughts all rolled into one handmade card. That's what you pack into an envelop when you send a handmade card. You send your love, a piece of your heart and a lot of good wishes. That's mighty powerful. I made two tri-fold cards that open up to a delightful inside surprise. 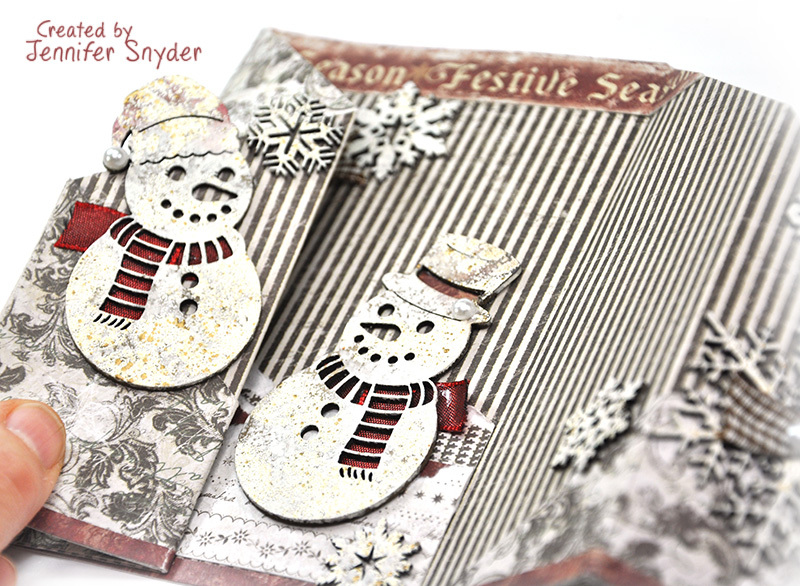 The first card features one of my favorite designs from Creative Embellishments, Mr. and Mrs. Snowman. 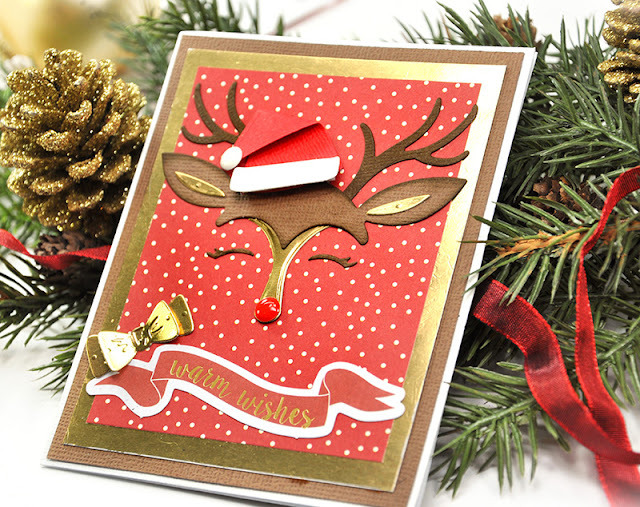 These are the chipboard pieces I used on the cards in today's post. 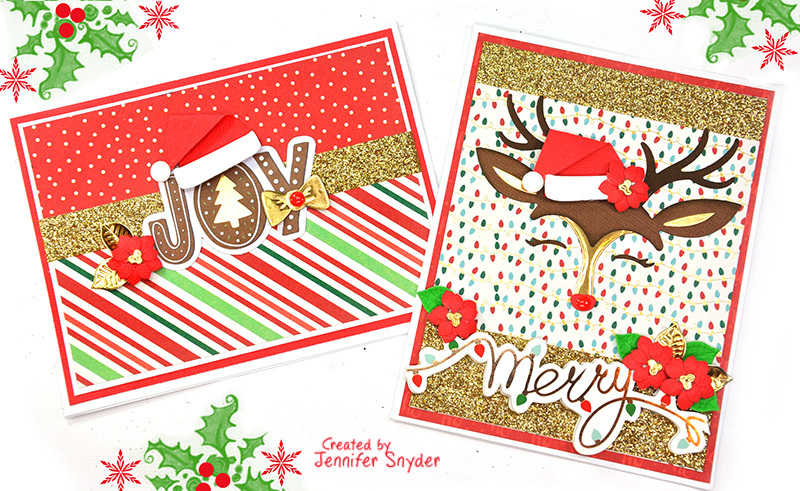 My paper choice for both cards is from Maja Design - "It's Christmas Time" 12x12 collection. This is a classically beautiful collection with an olde time appeal. Stampendous - Frantage Aged Ivory Embossing Enamels and heat to set the embossing powders. Here is the second tri-fold card. 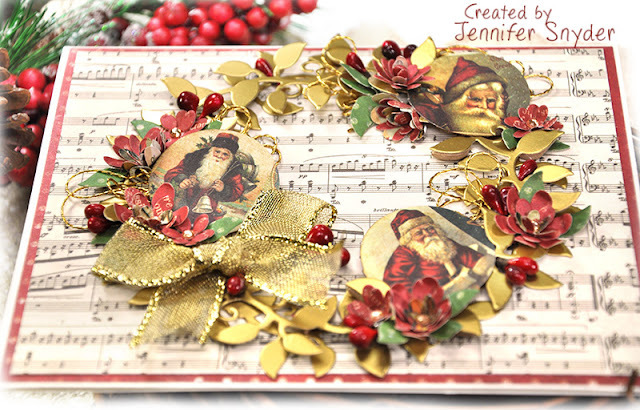 This is also made using from Maja Design - "It's Christmas Time" . The cover of the card was created by using both chipboard tress from Creative Embellishments - Very Merry Christmas chipboard set. 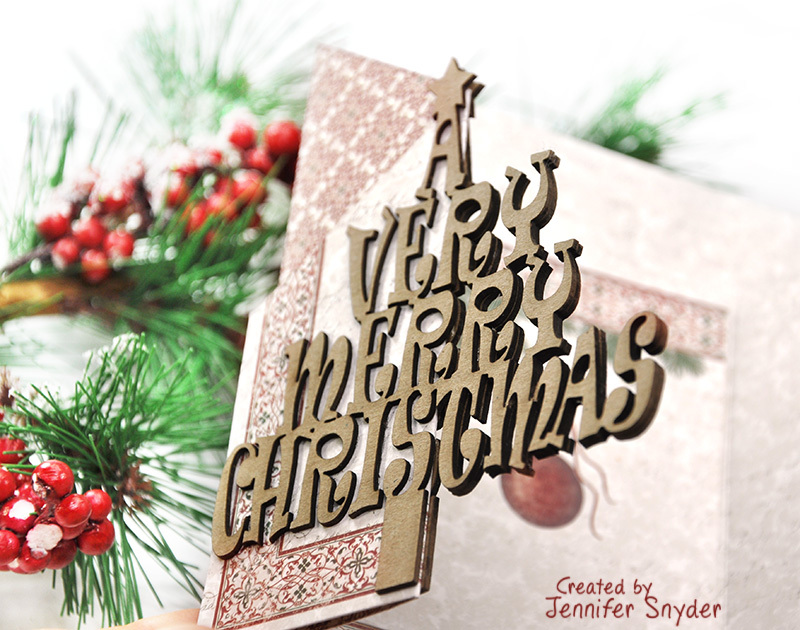 I have a series of images below showing the simple beauty of the chipboard tree design that has been glued together. Shop for chipboard, wood and flair buttons from Creative Embellishments here. 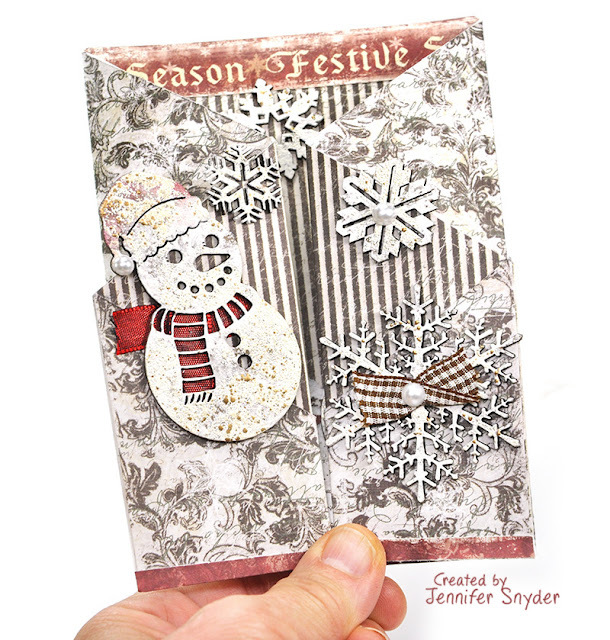 Have you checked out Spellbinders fabulous exclusive monthly clubs? This month, I had the opportunity to create with Spellbinders Large Die of the Month Club and this is the second card I have made with this crazy fun die set. Let me present the twist die for November. I adorned this card with the flower and leaf dies that come with the set. The next two photos give you a sense of what the card looks like from different angles when opened. Very hard to achieve with a photo but I tried my best. What's so cool about this twist die is that you can create many different styles of cards based on the way you decide to open the card. You can see that post right here. Spellbinders has also added some beautiful dies in the kit for embellishing and creating perfect finishing touches for your projects. 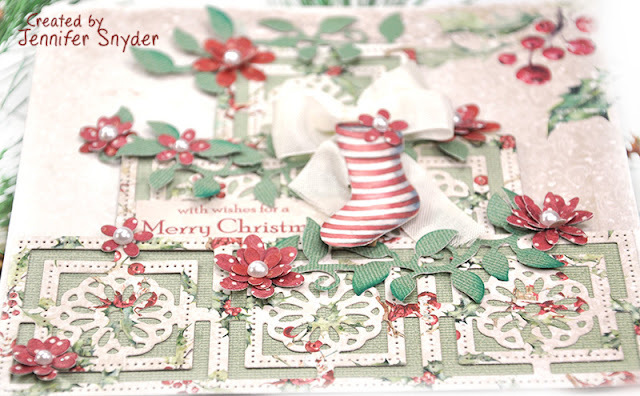 The paper used on this card is Stamperia's Precious 12x12 paper pack - gorgeous soft pinks and light teals. 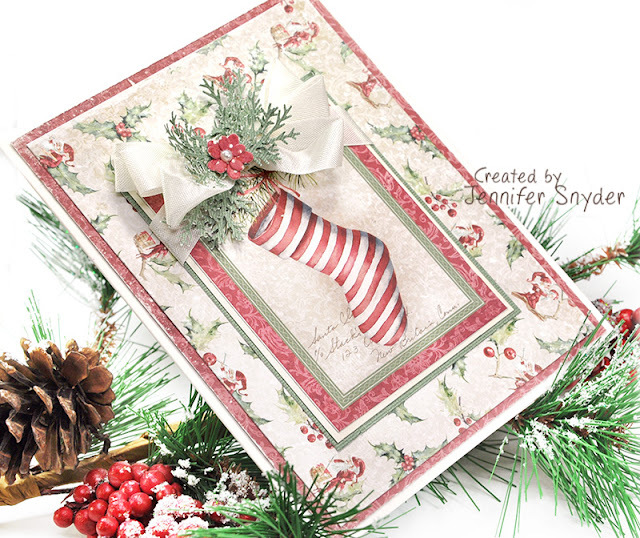 Shop for Stamperia paper collections here.